Get the latest on what Lions are doing - locally, in Ellenbrook and Nationally. Ordinary people doing extraordinary things - supporting people with a disability, community support, fundraising for worthwhile causes. We have many ongoing fund raising activities and projects which gives a sense of pride and satisfaction to our members. Two More Hands - can make a difference! Lions Rap Video "Rockin' the Vest"
We invite you to become a member of our club and be part of the change we can bring to Ellenbrook. Ellenbrook, Western Australia, is a community for everyone. From singles to young families and retirees who all enjoy the unique lifestyle of Ellenbrook which has been expertly planned as a town of self supporting 'villages' which has won many awards. The people who come to live here all have recreation in mind and the many parks and cycleways in the town cater for this desire. Ellenbrook is a strong community with facilities galore to suit all and it is still growing strongly residentially and commercially. We are only 10 minutes away from the Swan Valley, Perth's premier food and wine destination with world class wineries, restaurants, cafes, fresh produce, breweries and distilleries, arts & crafts, international class golf courses and tourist resorts. 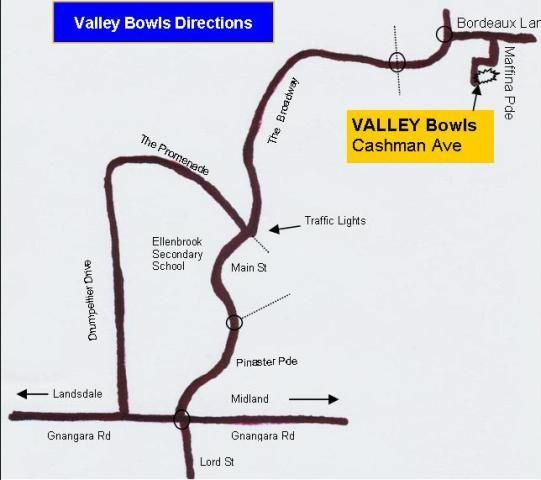 As for the Ellenbrook Lions Club, we were formed in 2002 and we meet twice a month on the first and third Thursday at 7:30pm, click Valley Bowls Club for a mudmap. If you are looking to attend our social meeting as a guest on a first Thursday, please contact one of the members listed on our Contact Us page or any other member you may know. Please browse our website at your leisure, and follow us on our Facebook page, we think you will find it interesting and maybe thought provoking. And please pass on our web address and Facebook page to friends and family. Our men and women members conduct vision and health screenings, build parks, support eye hospitals, award scholarships, assist youth, provide help in time of disaster and much more.